← Driving 2: Do gladiators have sensitive thighs? 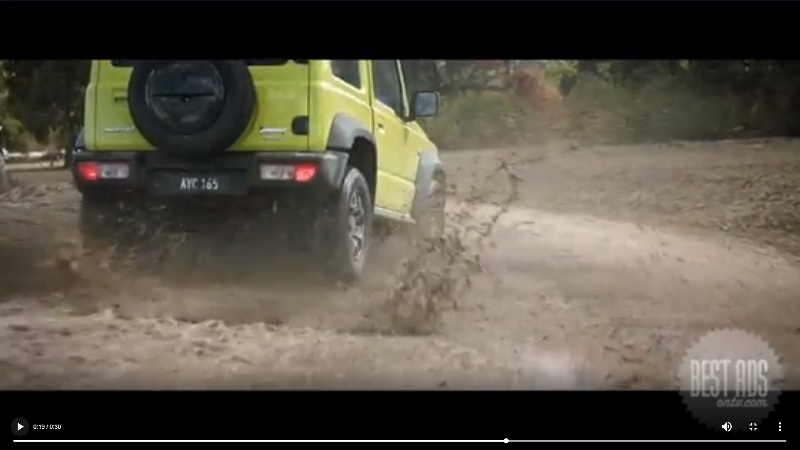 Viewers of sporting coverage on television last Friday might have noticed, if they weren’t asleep, a commercial for Suzuki, which featured a car tearing through a muddy road, then reversing, bouncing over some obstacle [possibly a dead body?]. The clip also featured a car being driven with brio round and round a suburban roundabout, accompanied by the slogan, ‘for fun’s sake’. You can look at the ad here If you concentrate very hard, you’ll see at the bottom of the screen at the start the words ‘filmed under safe and controlled conditions’. Image from a Suzuki TV commercial. The commercial’s main message is that sedate driving is for boring conformists. Do such ads, which proudly feature environmental vandalism and unsafe driving, influence driver behaviour? Car advertisements regularly violate the second of these conditions and often promote unsafe driving. For some reason showing cars skidding through dust and gravel is a favourite theme of most of them. 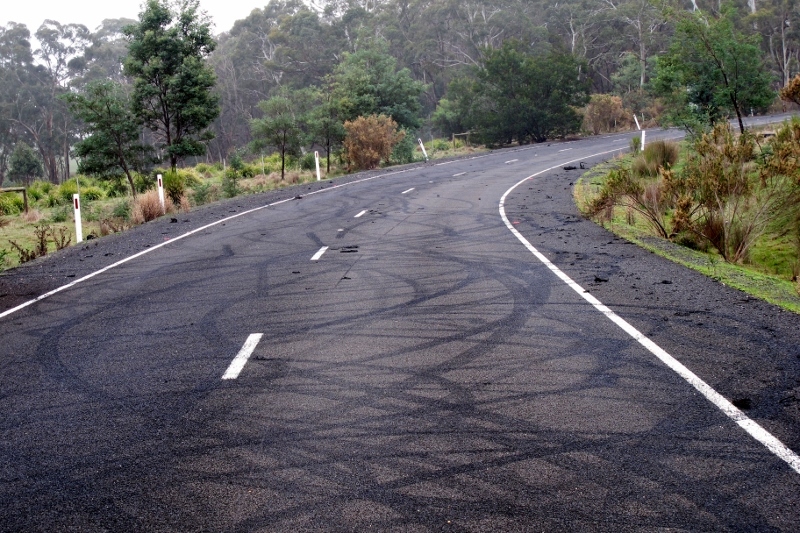 Skidding out donuts is another regular. Our favourite is a Toyota clip which shows a poor oppressed suburban bloke who sees a massive Toyota truck pull up alongside him in traffic. He instantly fantasises about skidding around sand dunes in that truck…then subsides into repressed good behaviour. But will he stay that way? Will the next episode show him in a cowboy hat, ripping up the country in a car which, as the ad proudly declares, ‘eats utes for breakfast.’ Stay tuned. Meanwhile, we can see the effects of such propaganda on our roads and in our bushland. And we can pretty safely conclude that voluntary codes of conduct are a bit of a joke. If you want to complain about a particular ad, you can do it at the Advertising Standards Bureau. Click here. Signs of ‘fun’ on public highway, Taradale, June 2016: sights like these are common on our roads, and they are actively encouraged by TV advertising.